We assist both plaintiffs and defendants in a wide range of civil litigation matters, including intellectual property law, breach of contract claims, fraud, violation of antitrust laws, and securities law, in addition to general tort claims for personal injury matters. In addition to our own work as lead trial counsel, Parker, Bunt & Ainsworth, P.C. regularly acts as local counsel to large national law firms. Formed in 2002 by former Federal Judge Robert M. Parker, we have the local expertise to guide your firm through the unique obstacles and customs associated with litigating in the Eastern District of Texas. Our attorneys have a proven track record for obtaining favorable results on behalf of clients, and utilize a team approach to litigation, drawing on nearly 90 years of collective experience practicing law, a background few firms in the region can match. We are conveniently located one block from the Tyler Federal Courthouse. For the convenience of our national law firm clients, we can arrange for additional building and office space to be used for trial purposes. To find out how our attorneys can represent you or your organization, contact Parker, Bunt & Ainsworth, P.C. today. We represent clients when there is an allegation of personal injury or defamation. This includes work on behalf of both plaintiffs and defendants in product liability actions, automobile collisions, medical malpractice suits, and on-the-job injuries. We also represent clients where there is an allegation of oral or written defamation. Robert M. Parker's practice focuses on intellectual property (IP) litigation, commercial litigation consulting, and arbitration matters, including securities fraud, contracts, anti-trust, and IP cases. Mr. Parker also has a wealth of experience in general litigation matters, including insurance defense (products liability, medical malpractice, and general tort litigation), oil and gas, and criminal defense. Prior to forming Parker, Bunt & Ainsworth, P.C. 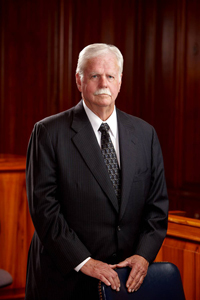 in 2002, Mr. Parker served for over two decades as a federal judge, both in the Eastern District of Texas and on the U.S. Court of Appeals for the Fifth Circuit. -University of Texas at Austin, B.B.A. -University of Texas at Austin, L.L.B. 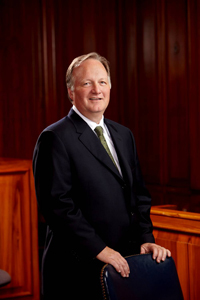 Robert C. Bunt has tried cases in more than a dozen Texas counties and has served as lead trial counsel in over 24 jury trials. His trials have covered a wide range of areas, including general negligence, product liability, civil fraud, contract dispute, and patent infringement actions. 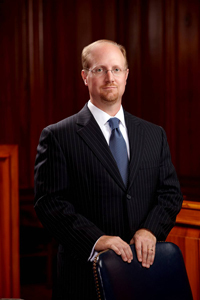 Mr. Bunt has earned a reputation for excellence among his peers for his litigation abilities and is a member of the American Board of Trial Advocates. Mr. Bunt represents individuals as well as local, national, and international corporations. He is frequently retained to serve as local counsel in patent litigation matters pending in the Eastern District of Texas. With his extensive trial experience, Mr. Bunt is often called upon by national firms to provide trial support, aiding them in the selection of juries, examining witnesses, and assisting with trial strategy. A principal attorney with the firm, Charles L. Ainsworth's practice focuses on patent litigation, business litigation, and personal injury matters. In his over 17 years practicing law, Mr. Ainsworth has earned a reputation for obtaining superior results on behalf of a wide range of clients.